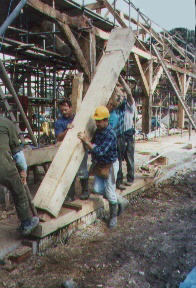 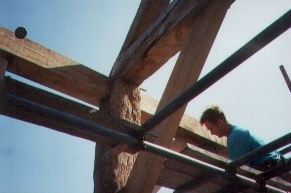 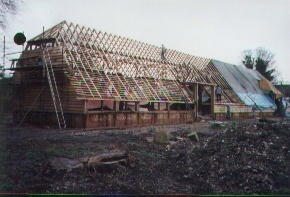 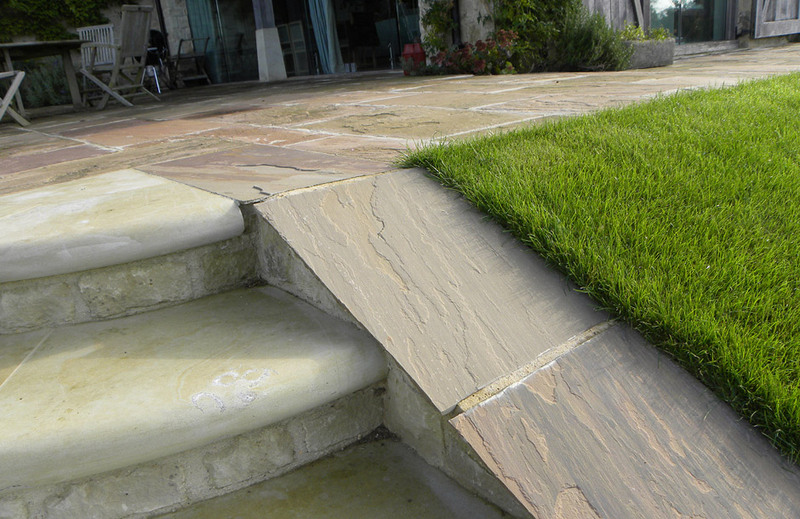 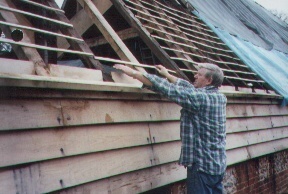 This project started around a barn restoration. 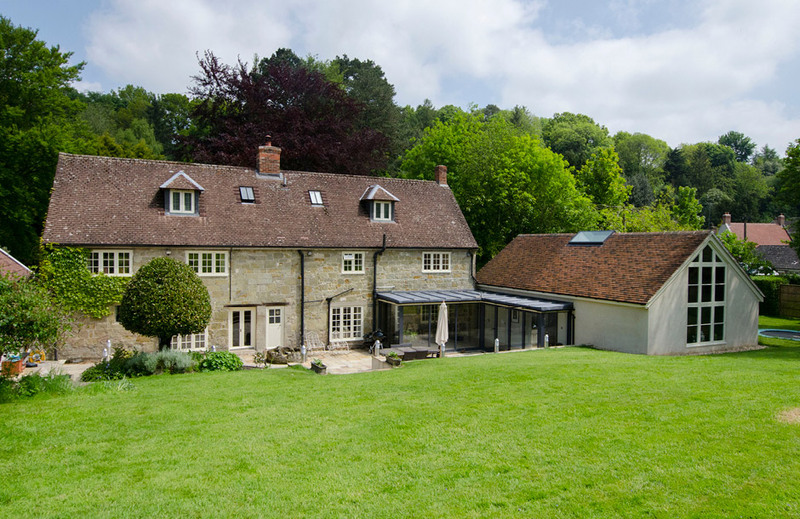 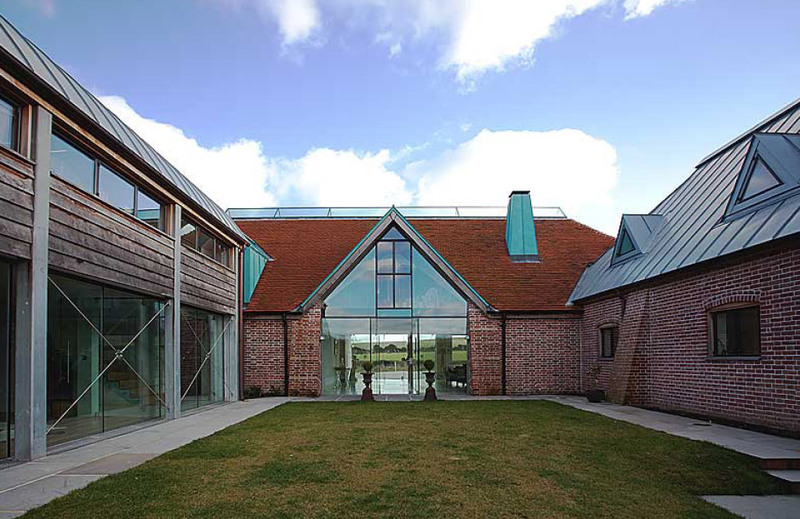 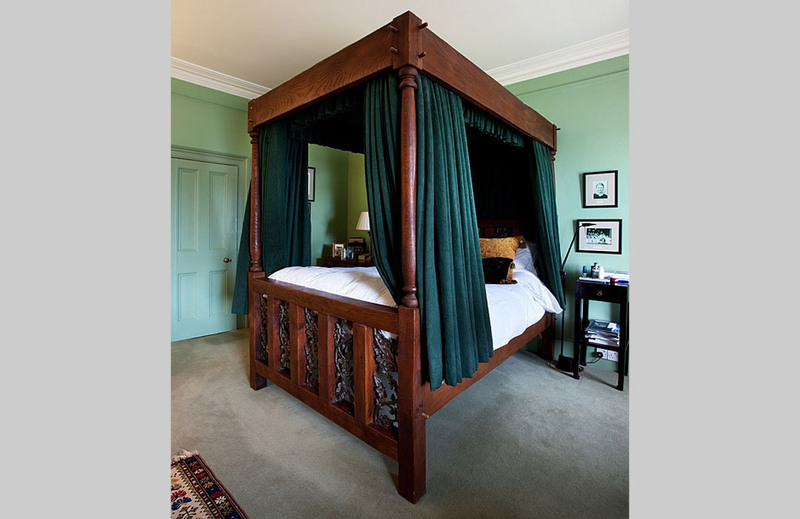 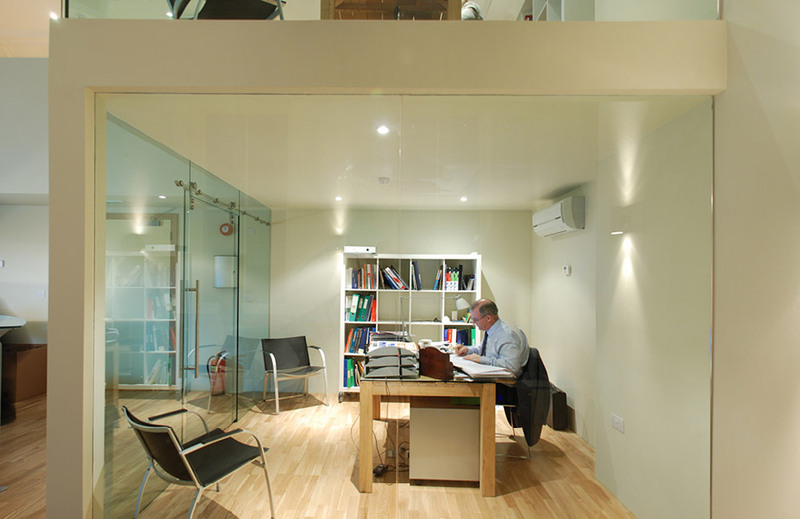 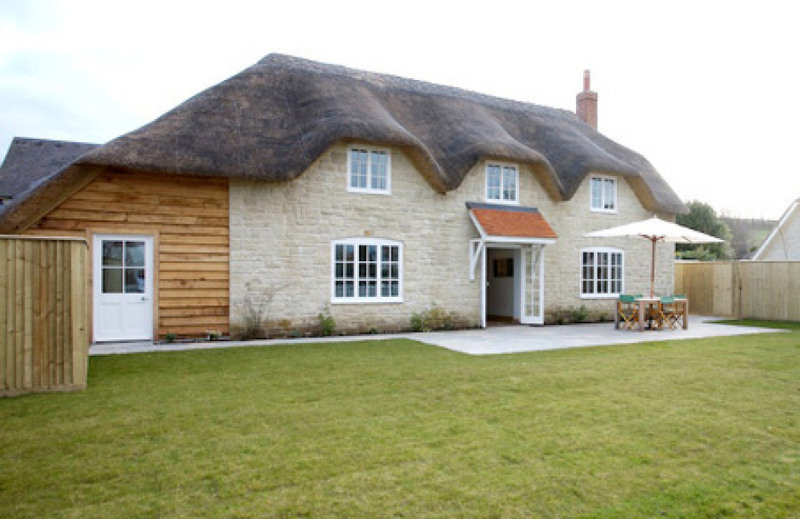 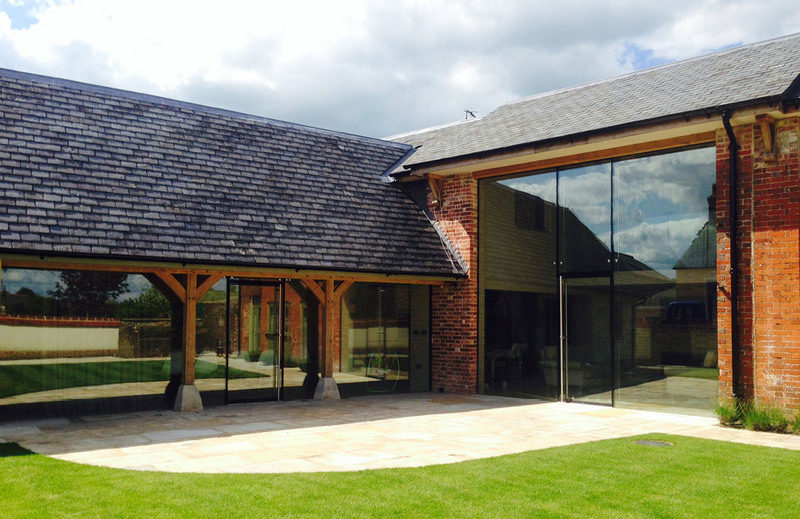 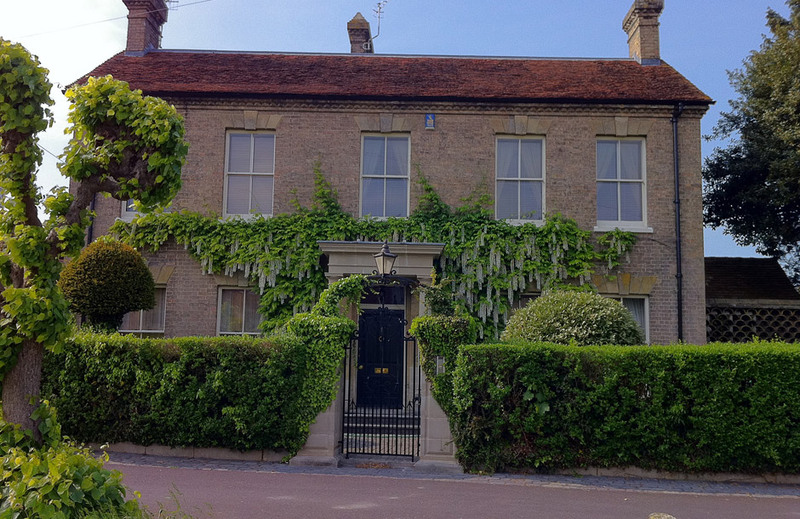 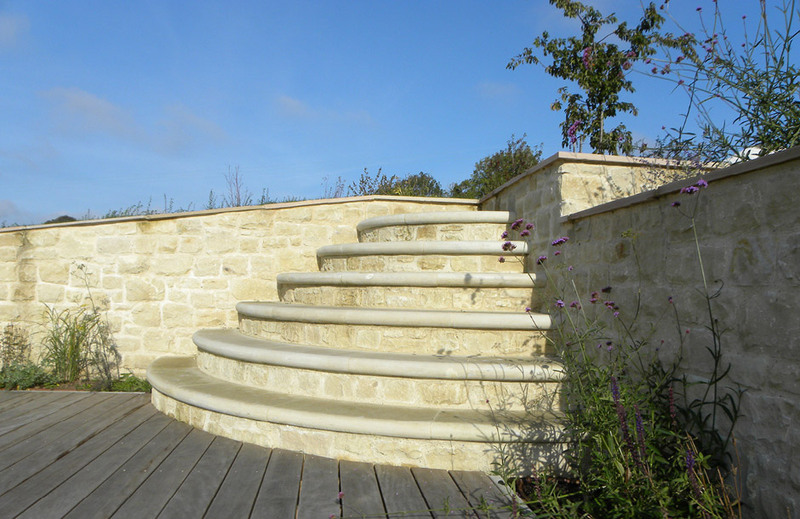 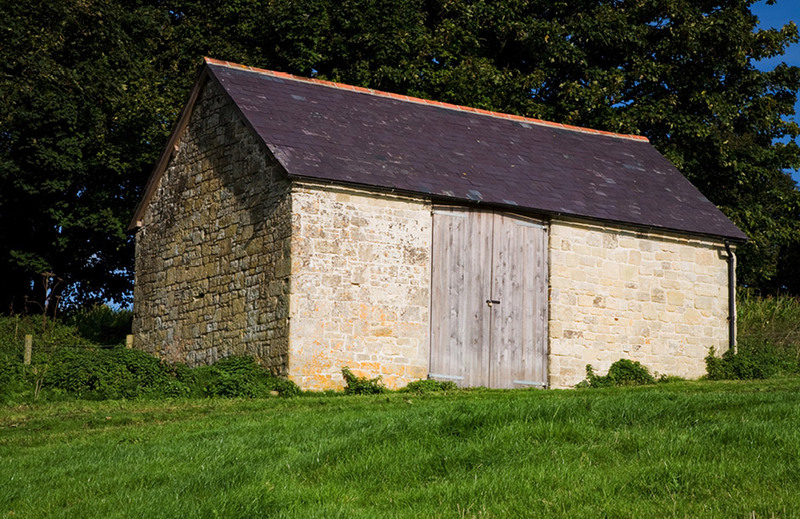 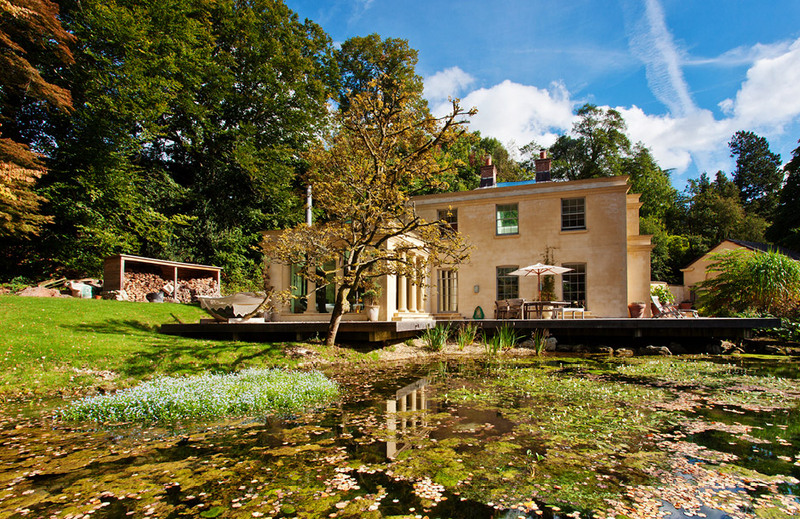 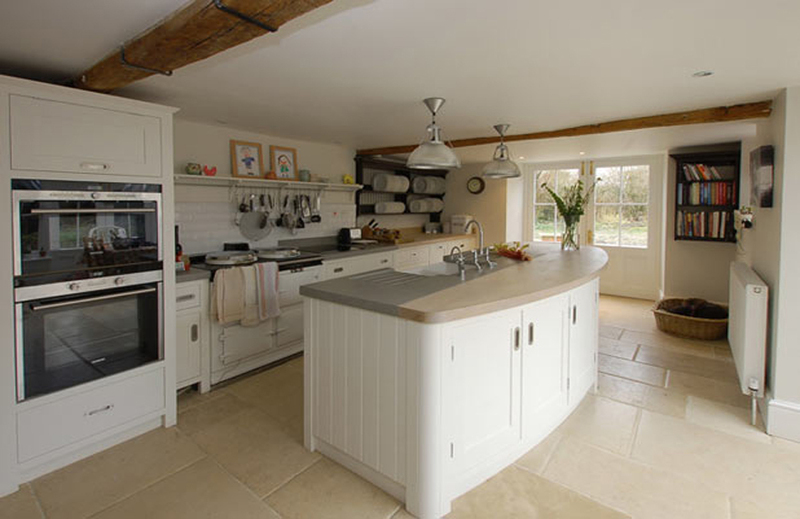 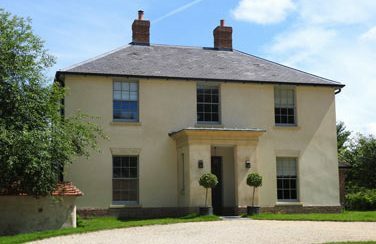 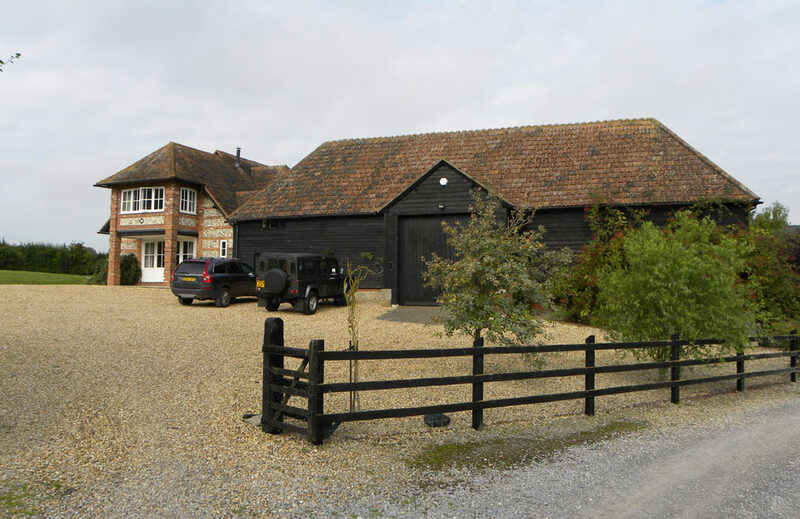 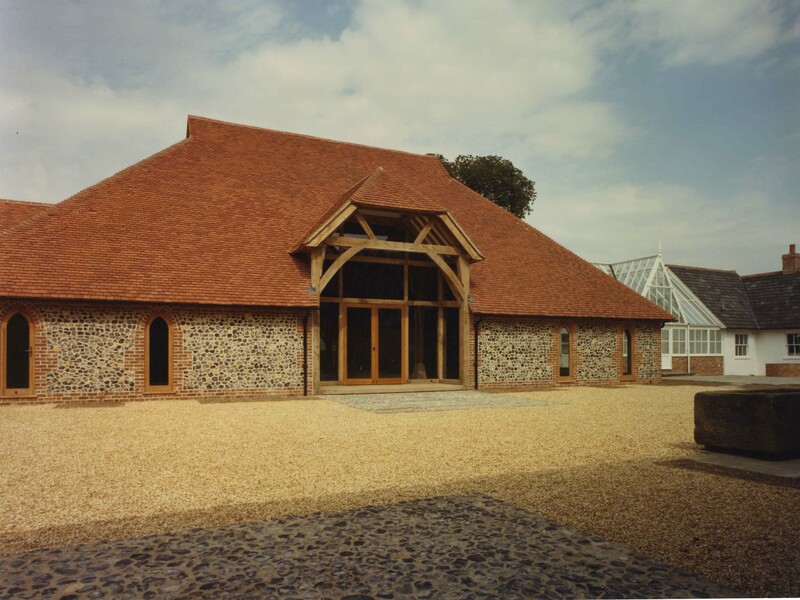 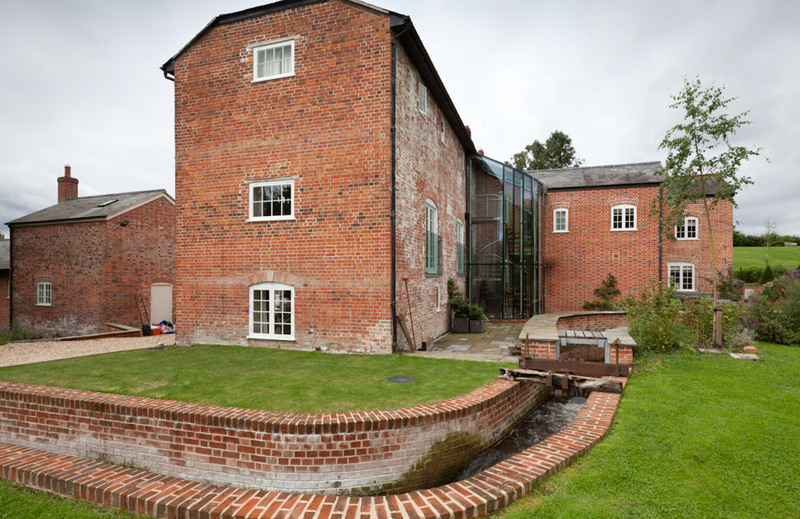 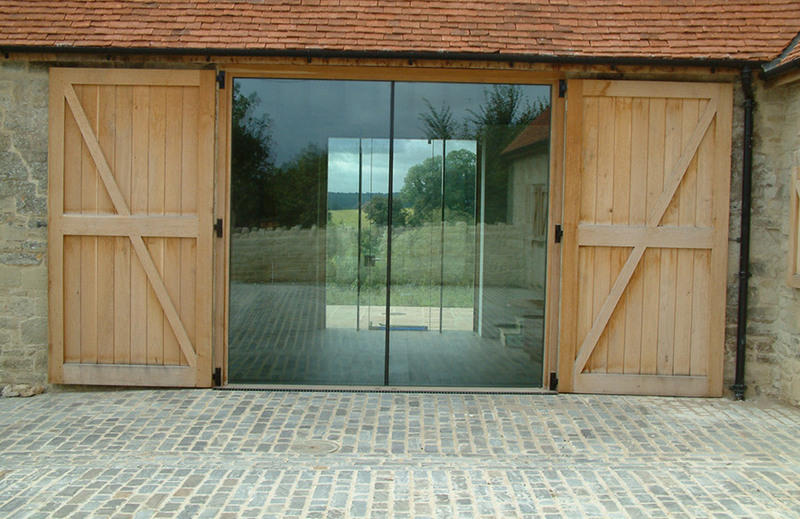 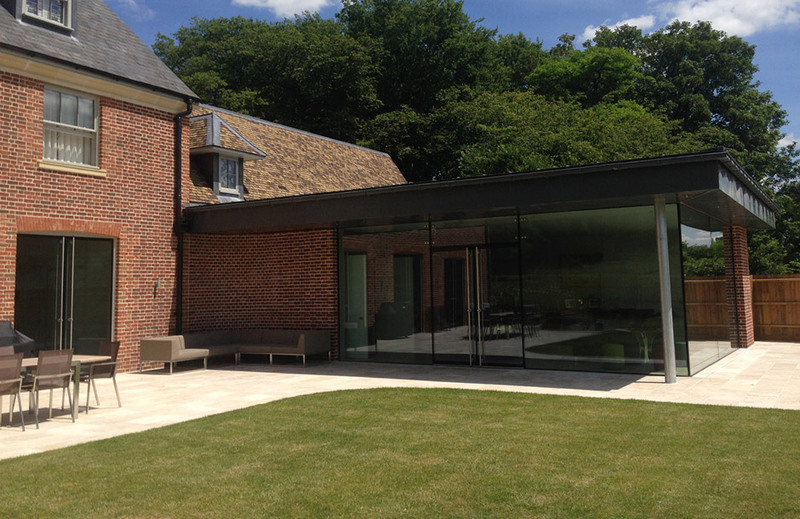 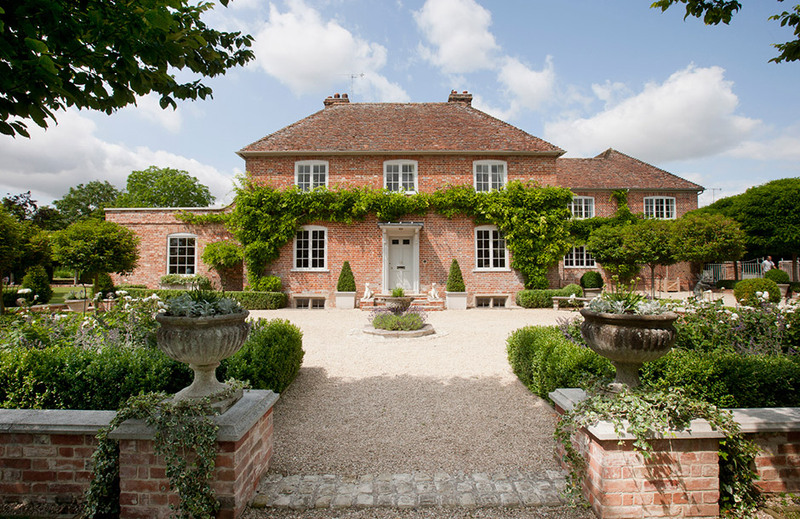 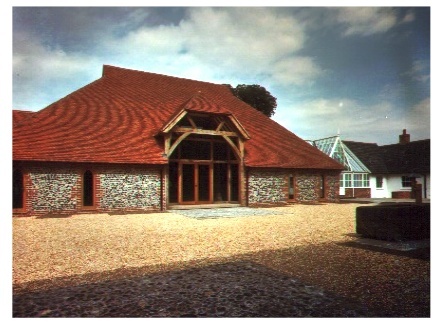 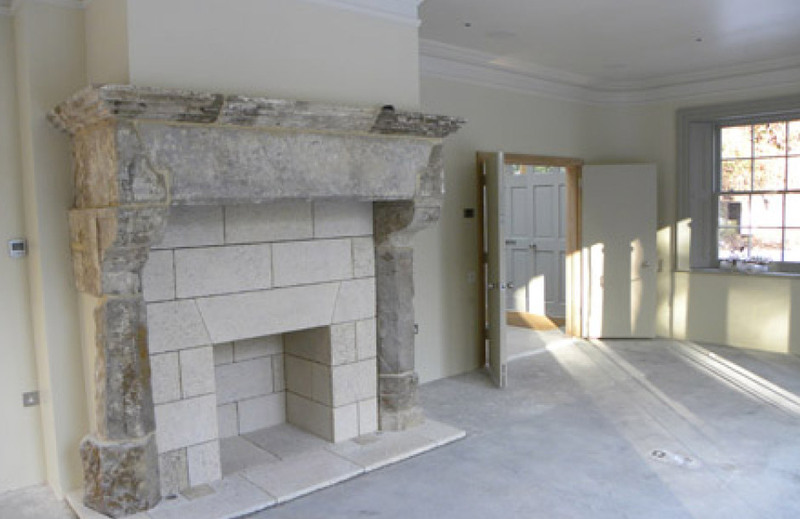 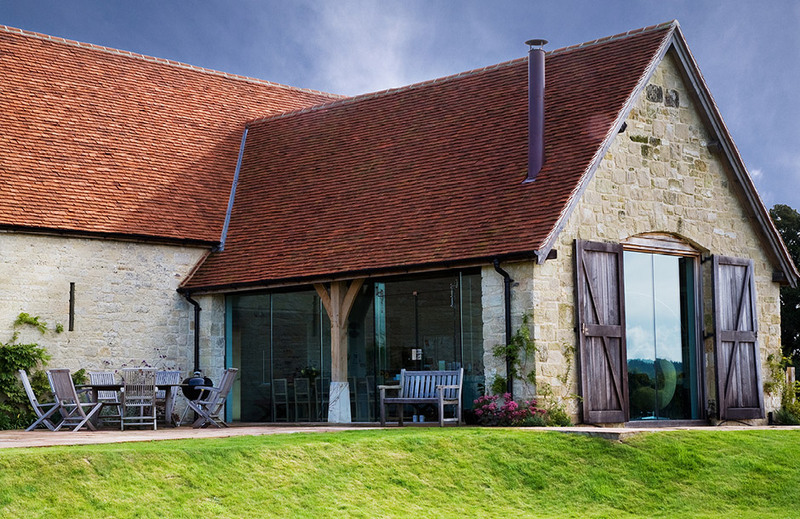 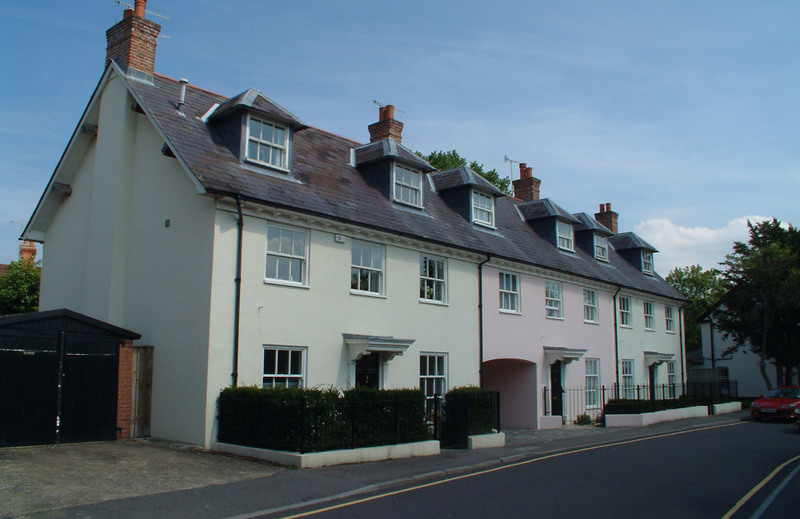 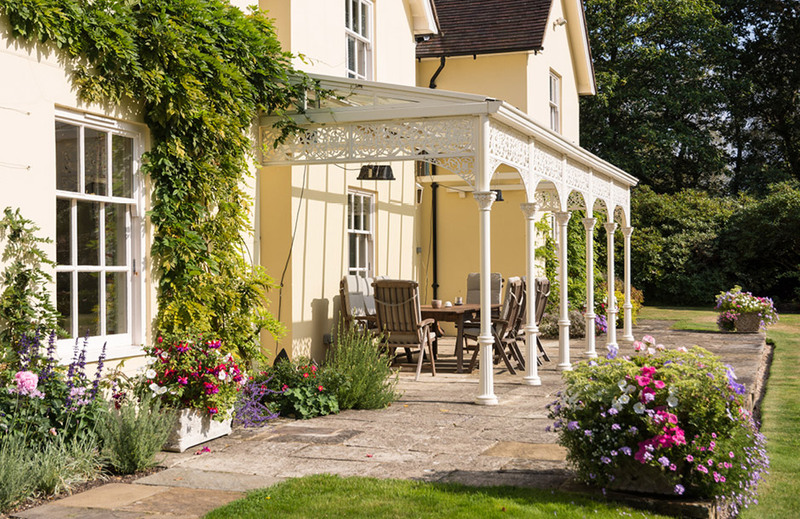 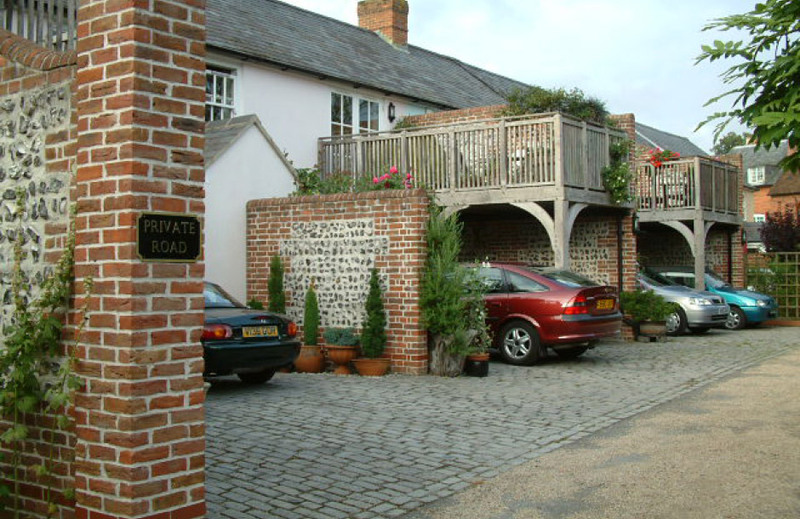 Our client had acquired a range of farm buildings that neighboured their Grade II * main house. 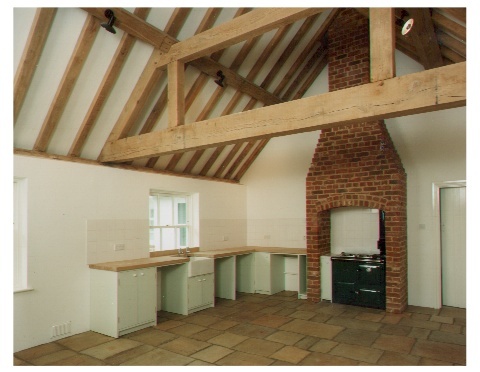 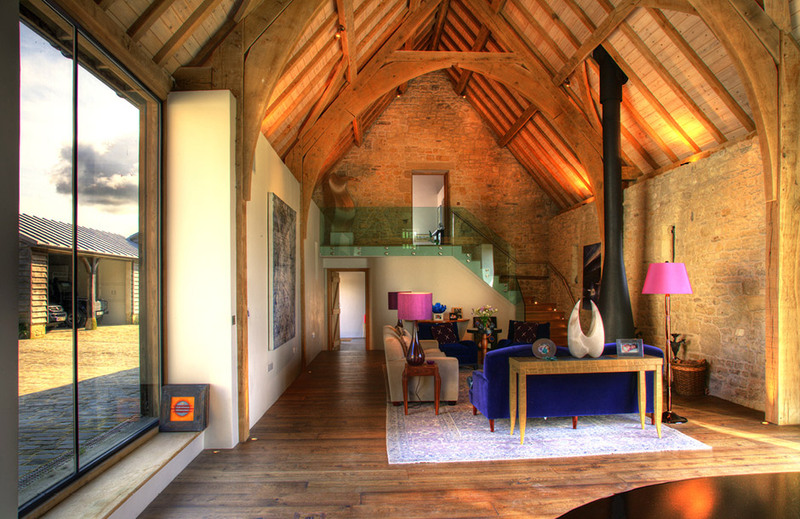 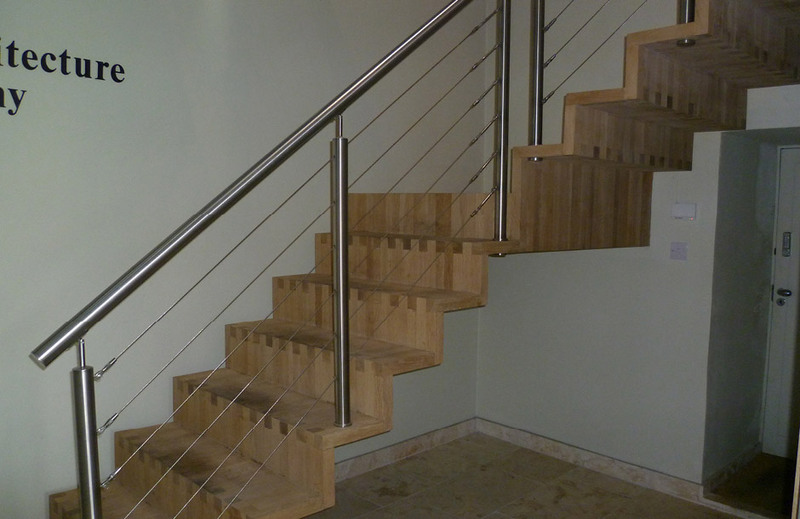 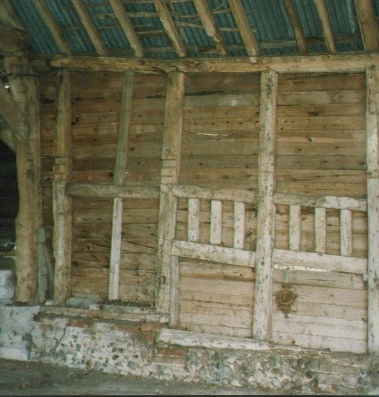 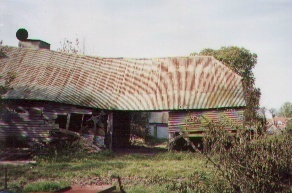 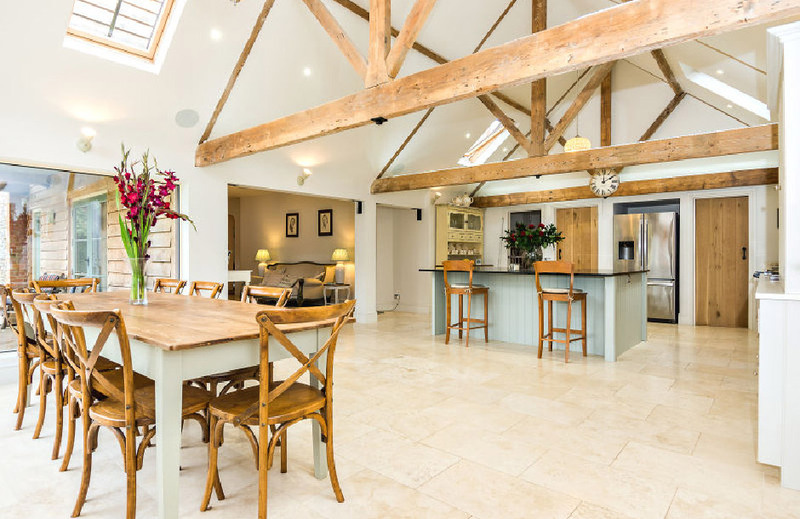 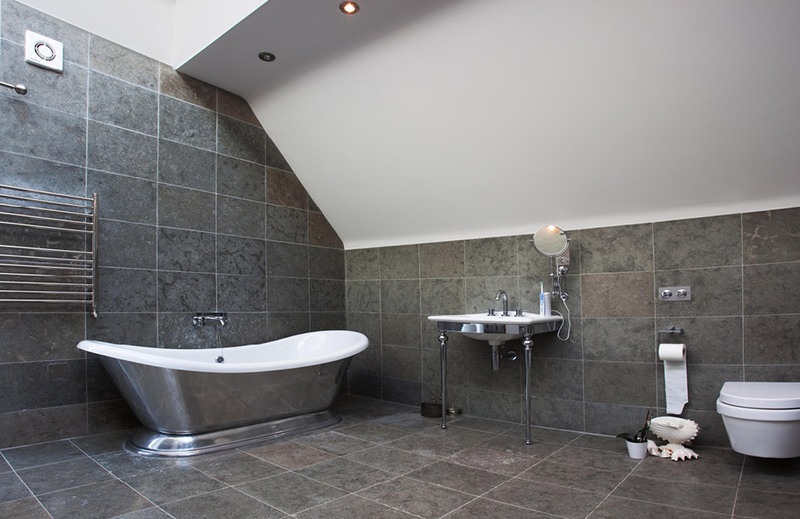 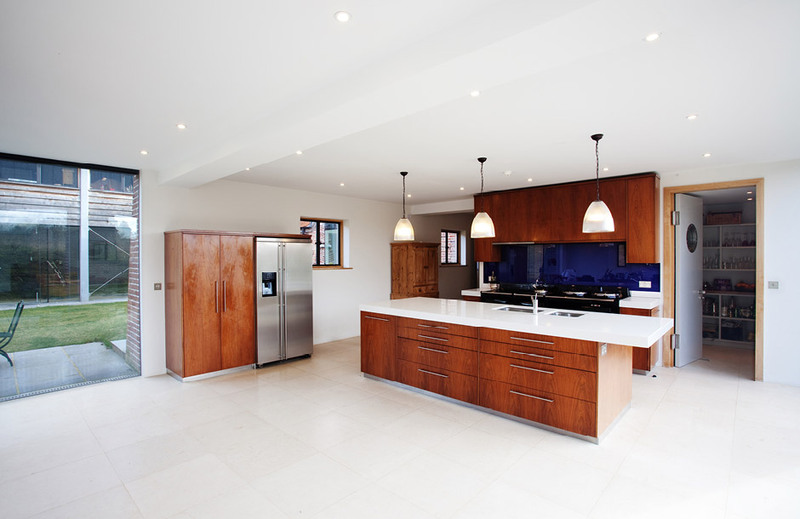 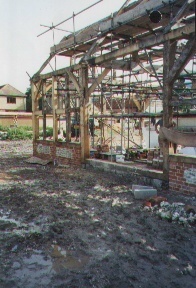 These had once been in the same ownership and they were keen to incorporate the barns into their property. 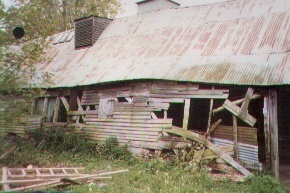 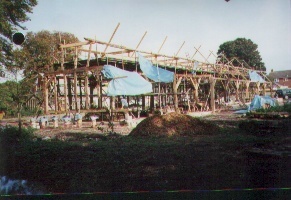 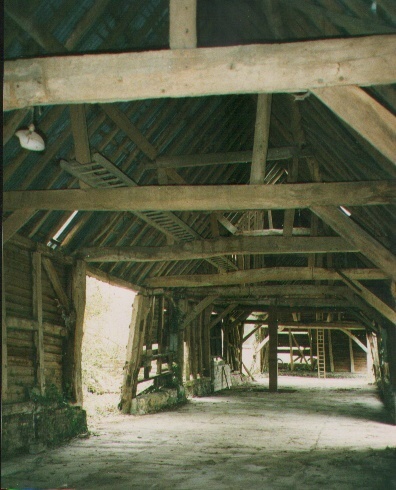 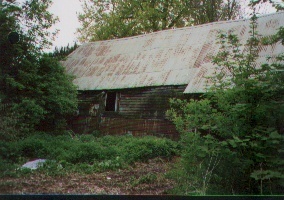 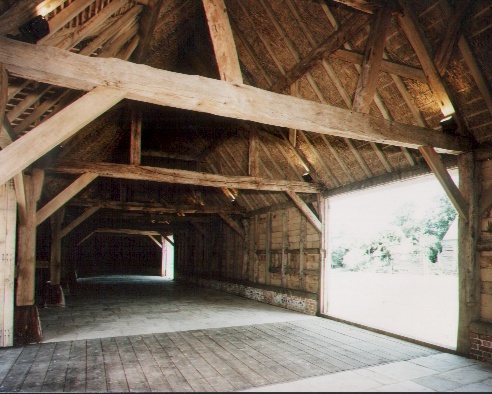 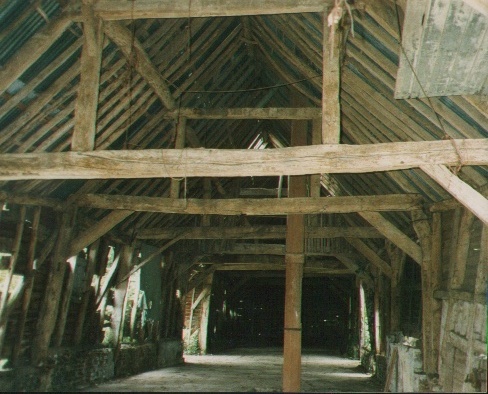 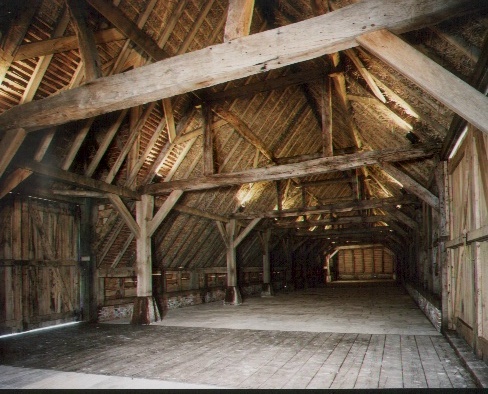 The Key building is a 115ft long barn. 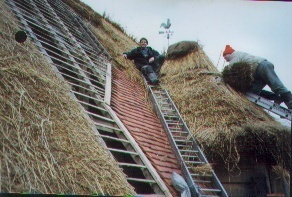 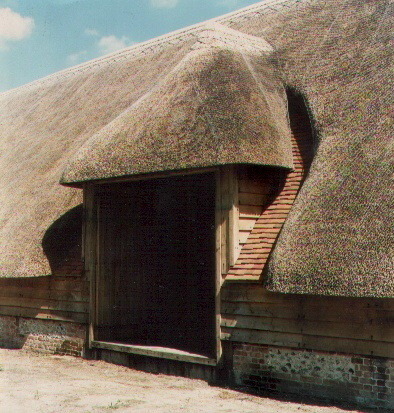 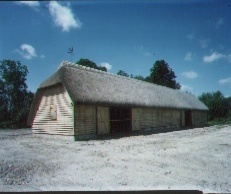 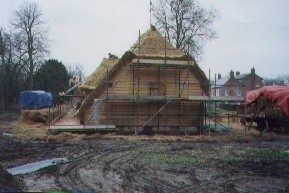 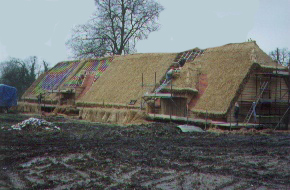 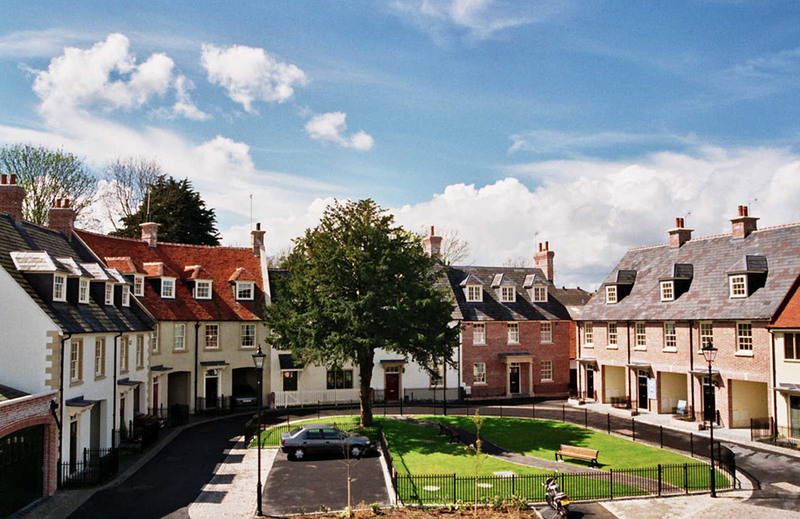 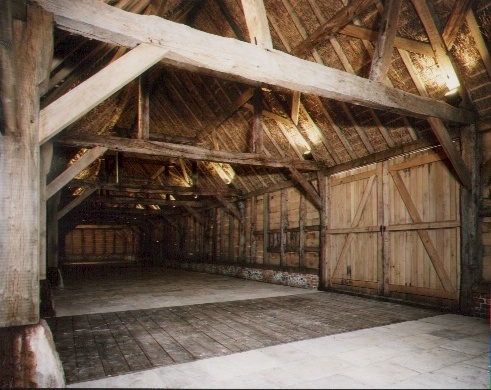 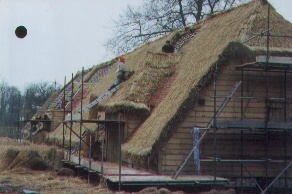 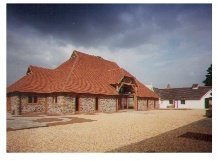 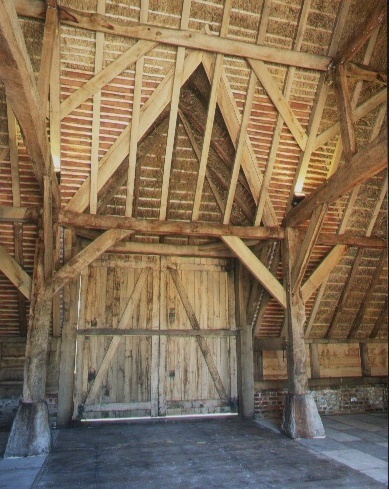 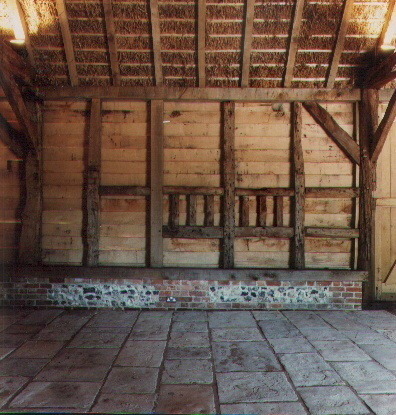 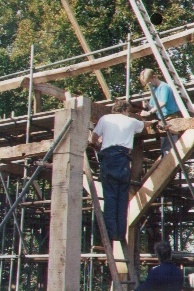 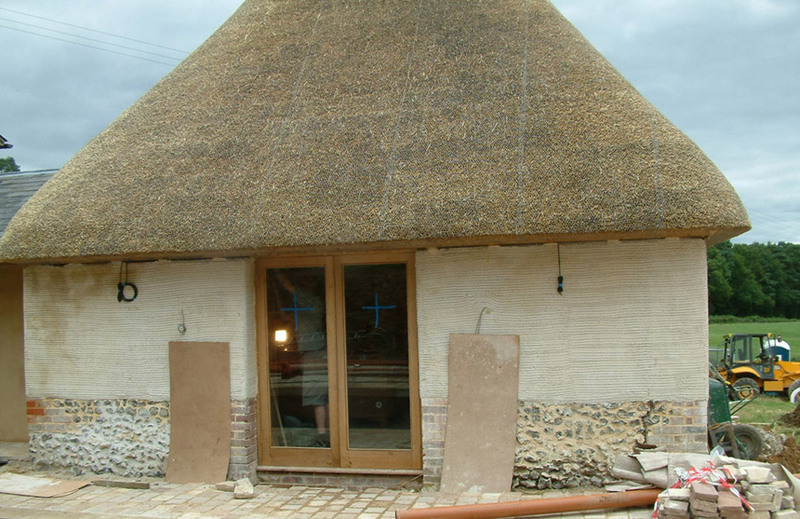 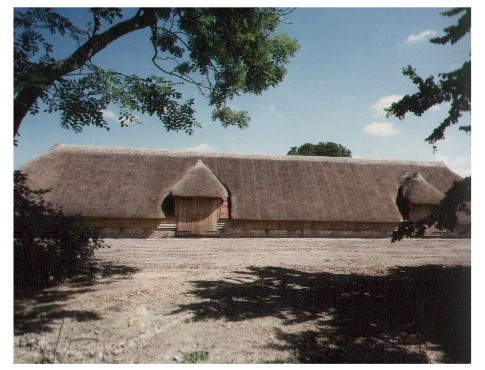 With aid from English Heritage the building was comprehensively restored, including replacing its original long straw thatch roofing with tiled valleys to its Wagon Porch’s. 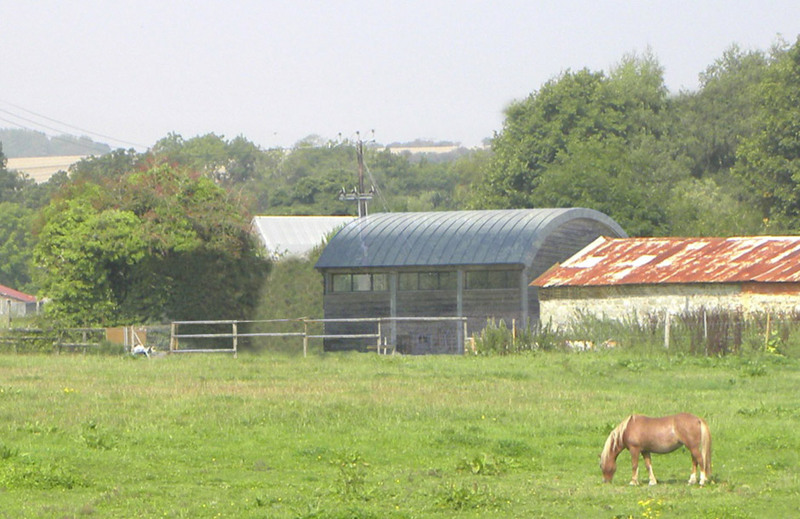 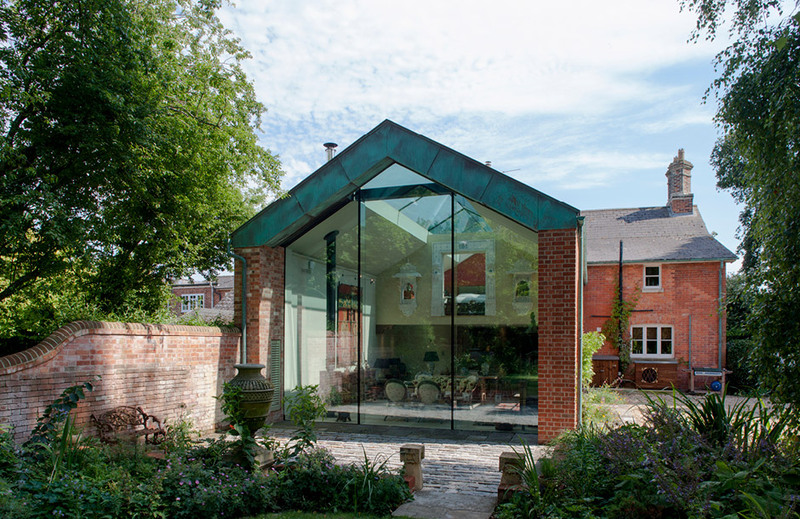 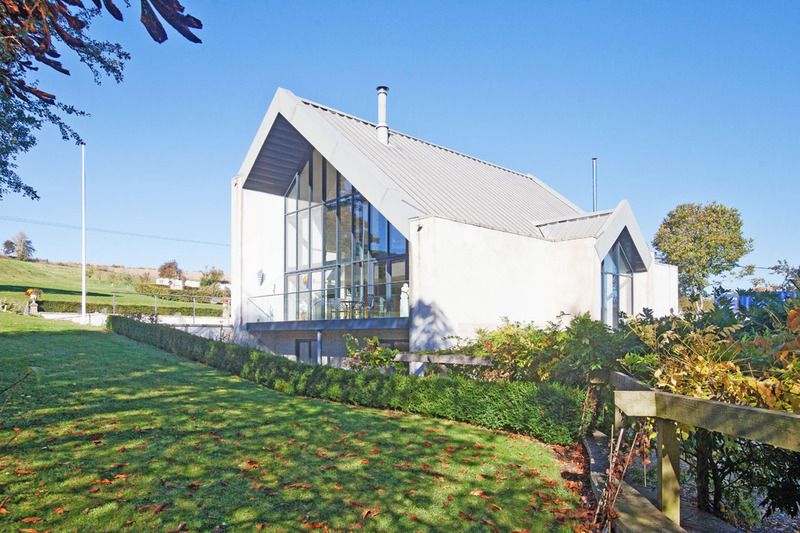 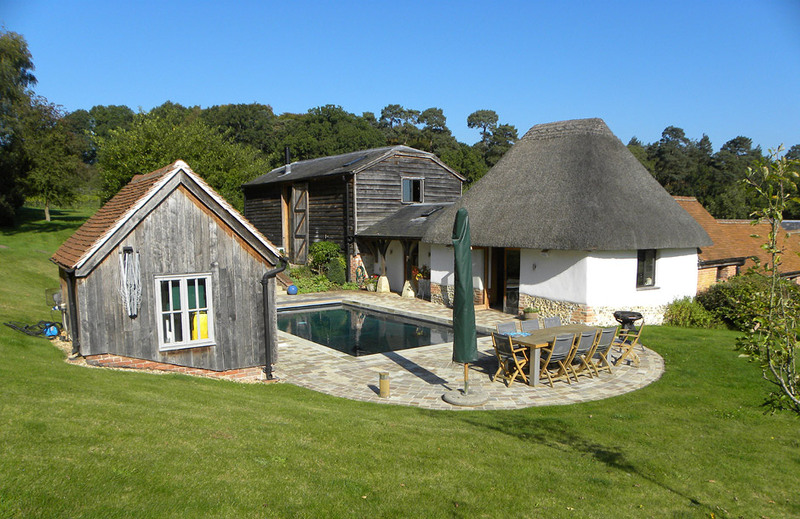 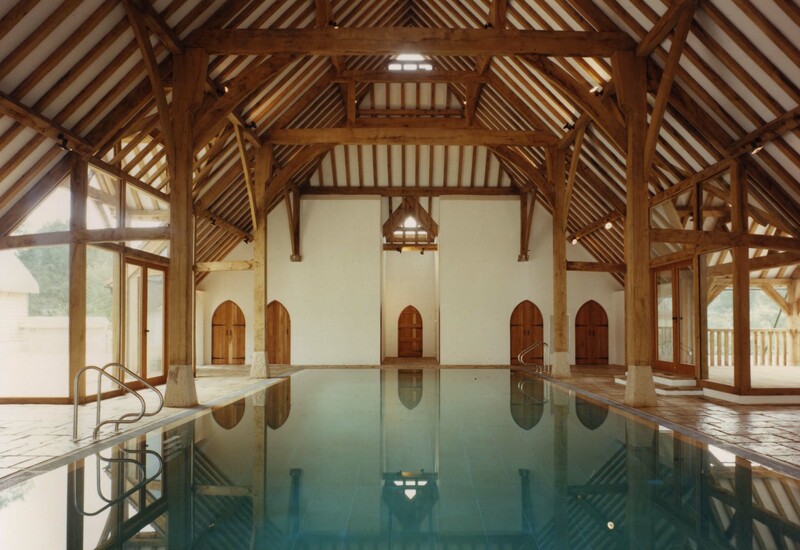 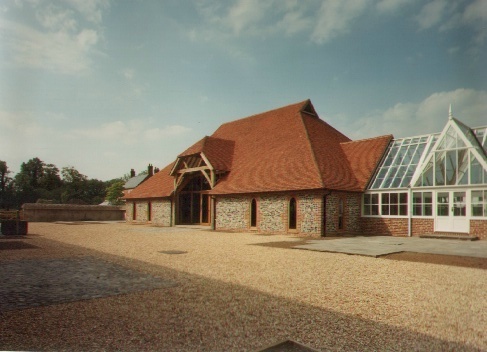 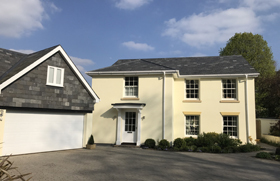 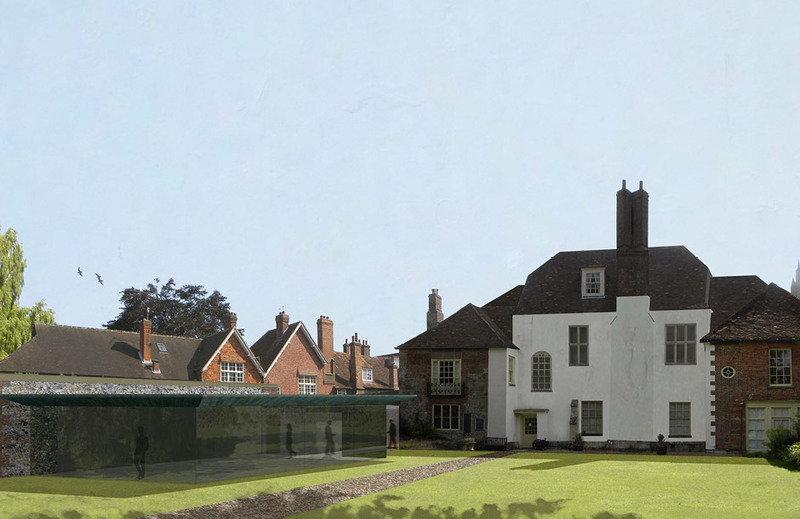 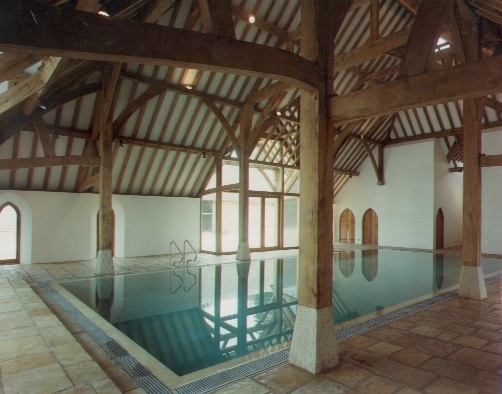 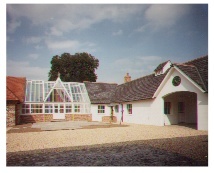 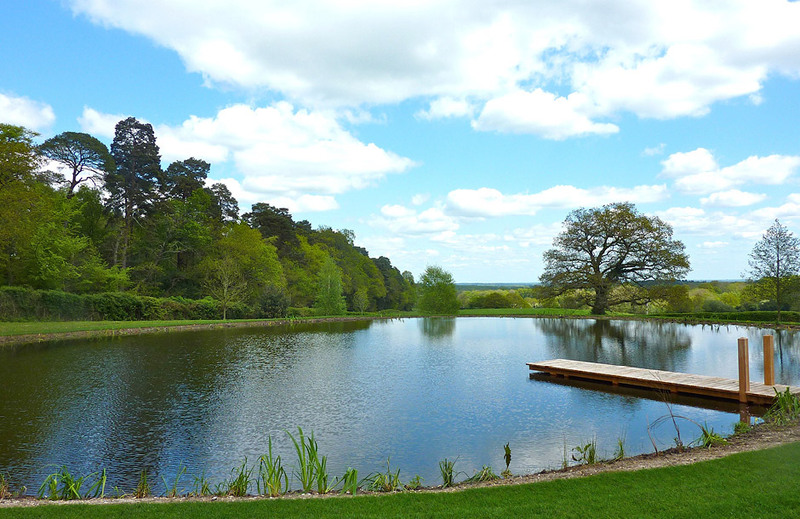 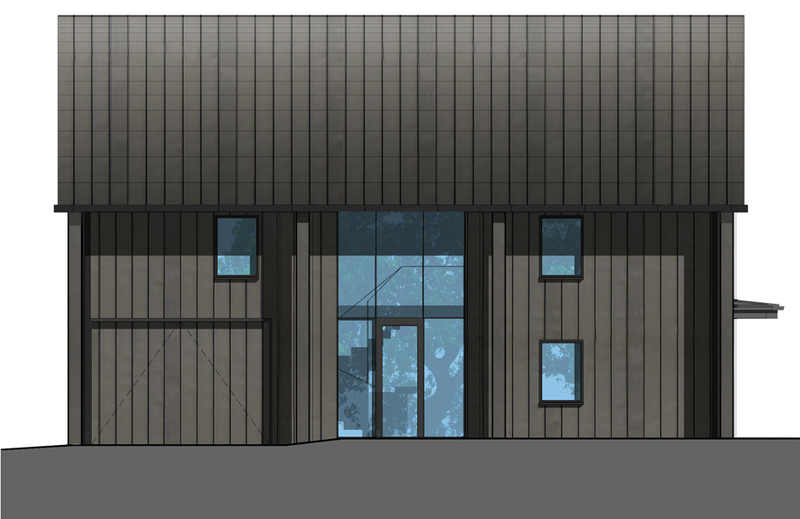 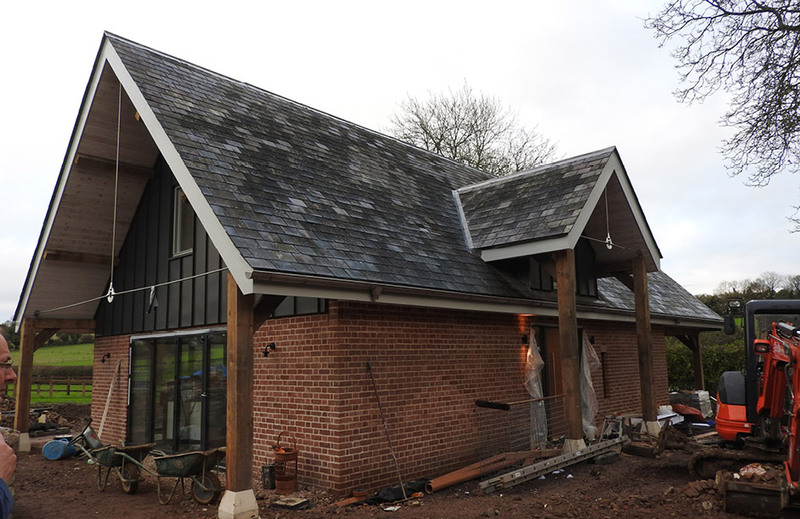 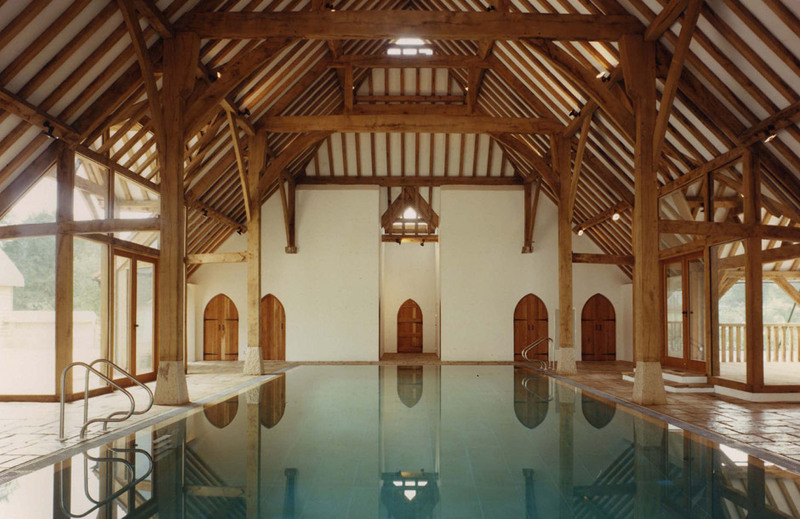 The project led to the replacement of some modern low quality buildings with a new barn – that houses a swimming pool, an adjacent green house and a staff cottage.